Applied Functional Science™ Nomenclature is a language system in which any and all movement can be accurately defined and described. To best understand and utilize this system, it is imperative that one first understands Applied Functional Science™, consisting of a process that includes scientific principles stemming to formulated strategies in creating powerful and unlimited techniques. Unlimited techniques “ How does one know precisely the movement being implemented? This is only answered through Applied Functional Science™ Nomenclature, the terming and organizing of any and all movement. Applied Functional Science™ Nomenclature involves identifying and understanding the environments in which movement occurs, the many positions, drivers, and actions of the body, the three-dimensionality of muscles and joints, the subconscious Chain Reactions™ throughout the body triggered by movement. Applied Functional Science™ Nomenclature takes into account the above and systematically arranges it into a format that allows the movement industry to recognize, comprehend, and speak the same language. With imagination comes an infinite array of movements “ having a language in which all movement can be described allows for a limitless world of imagination! Recognize and value the need for Applied Functional Science™ Nomenclature based on consistency, completeness, and communication. Recognize and value the differences on how movements are termed between traditional examples and Applied Functional Science™ Nomenclature examples. Recognize and value Applied Functional Science™ as a journey, as a way to understand the world we live in, and a convergence of the physical, biological, and behavioral sciences. Recognize and value the Principle-Strategy-Technique Process of Applied Functional Science™. Recognize and value the parallel of the Principle-Strategy-Technique Process with that of Applied Functional Science™ Nomenclature, specifically as it relates to the three-dimensionality of movement, gravity, movement being driven, dynamic, variable, and individualized. Recognize and value the primary teaching example that will guide the introduction, understanding, and significance of the information that follows. Recognize and value the vertical logic consisting of the ten (10) fields of Applied Functional Science™ Nomenclature – Environment, Manipulation to Environment, Beginning Position, Manipulation to Beginning Position, Driver, Triangulation, Action, Manipulation to Action, Ending Positions, and Manipulation to Ending Position. Understand and apply the primary field of Environment to be anything one may be “in” or “on” within a movement. Understand and apply the secondary field of Manipulation to Environment to be tools used within a movement. Understand and apply the primary field of Beginning Position to be any one (1) of six (6) global positions, including the SFT Syntax, which sets up a movement. Understand and apply the secondary field of Manipulation to Beginning Position to be additional context to the Beginning Position and/or specific position(s) of the body’s joints/segments within a movement. Understand and apply the primary field of Driver to be anatomical and elicit a Chain Reaction™ within a movement. Understand and apply the primary field of Triangulation to consist of an Angulational Coordinate (direction), a Vertical Coordinate (height), and a Horizontal Coordinate (distance) within a movement. Understand and apply the Rule of Self-Selection in movement analysis. Understand and apply the primary field of Action to be the specific execution of a movement. Understand and apply the secondary field of Manipulation to Action to be additional context to the Action and/or specific motions of the body’s joints/segments within a movement. Understand and apply the primary field of Ending Position to be any one (1) of six (6) global positions, including the SFT Syntax, which completes a movement. Understand and apply the secondary field of Manipulation to Ending Position to be additional context to the Ending Position and/or specific position(s) of the body’s joints/segments within a movement. Comprehend and employ how to utilize two actions within one movement, thus using powerful connector terms that indicate sequencing. Recognize and value how to transform vertical logic of Applied Functional Science™ Nomenclature into a horizontal display (sentence form). 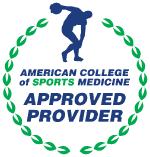 Comprehend and employ how to precisely and accurately utilize and implement Applied Functional Science™ Nomenclature into use through a series of relevant examples serving as a review to the entire module. 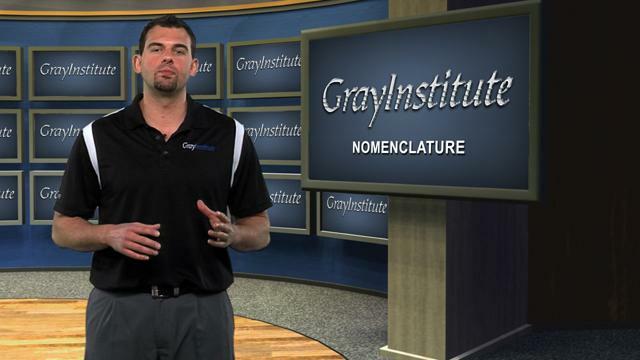 Recognize and value the power of Applied Functional Science™ Nomenclature as it relates to the movement industry.